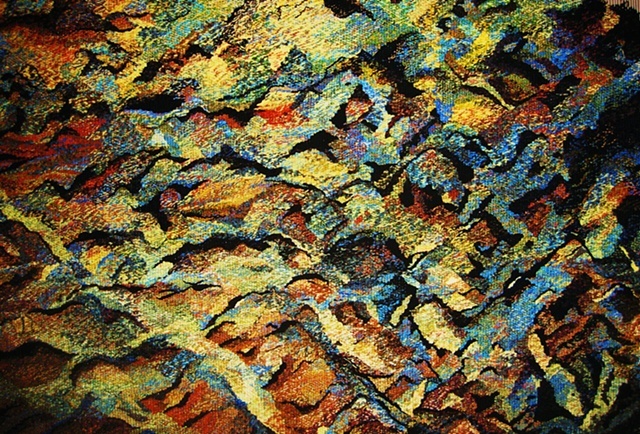 One of the Series of tapestries woven for the Burlington Art exhibit. Represents the maple tree bark, seen through the eyes of texture. Gradations of colours flow like blood streams, integrating life in the tree.